Located in Minneapolis, Fairview Riverside is one of the best substance abuse treatment facility in that area. Fairview Riverside founded as part of the larger Fairview Network of health clinics is one of the most reputable landmarks in Minneapolis Minnesota. 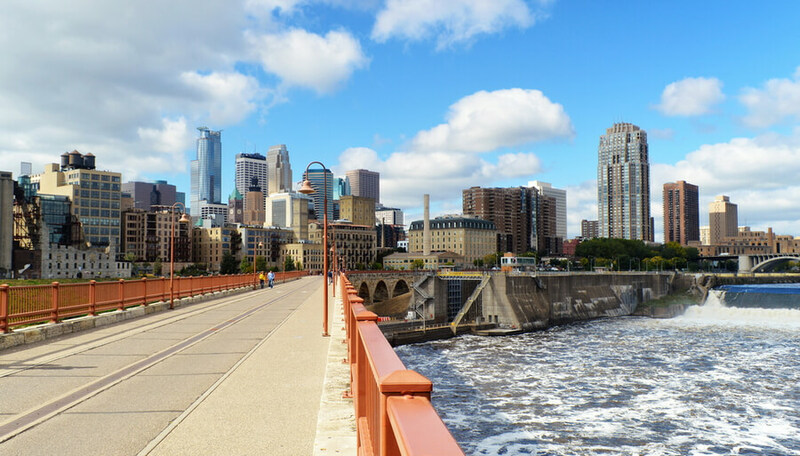 Fairview Riverside is also involved with the University of Minnesota Medical Center, a complete service hospital that comes with its own specialized programs for addiction, gambling, psychosis, and mental health; Fairview Riverside is the solution to its substance abuse treatment. Through an academic partnership with the University of Minnesota Physicians and Minnesota Academic Health Center, Fairview Riverside has profited with recent evidence-based treatment and addiction research and so far has become one of the leading facilities to offer recovery programs in the state of Minnesota. Fairview Riverside boasts of implementing the best and recent types of treatment with the highest level of respect and privacy for human needs. As a facility, Fairview gives individualized care and attention to its patients guiding them through the recommended treatment processes. One can say that with this facility, patients are always in good hands. Fairview Riverside can boast of a 61-bed capacity in which 38 are assigned to male residents and 23 are assigned to female residents. The facility’s amenities meet the standard of a typical residential hospital room. Each room comes with a dresser, an attached bathroom, and two twin beds. Private rooms can be requested by residents but the facility’s constant list of request for private rooms makes it almost impossible for residents to actually get one. Fairview Riverside has a common room in which residents can use their cell phones and laptops but one of the facility’s rules is that patients can’t use mobile phones or laptops in their room. There is also a fitness room located in the facility. Although the rooms of this facility are not very luxurious, the facility does provide an atmosphere of medical reassurance for its patients during their treatment processes. Both male and female floors come with fully furnished kitchens and residents are provided with nutritious meals three times a day as well as snacks from the cafeteria. Although luxurious and diverse delicacies are not served in this facility, Fairview Riverside provide sandwiches, a salad bar and various dishes which can match tastes of any individual who resides there for treatment. Residents are also encouraged to make use of the kitchen to prepare their own meals if they want to. Upon admission into Fairview Riverside, patients are to work with the facility’s therapist and a team of counselors to undergo a physical and mental evaluation prior to the treatment. After which their therapist drafts an individualized plan to suit their patient’s needs for the duration of their stay or attendance in the facility. Fairview Riverside is not a licensed facility. Fairview Riverside has been operating for over the years providing its participants with experienced services. This facility having several treatment and therapy options which are drafted to suit their patient’s individual needs gives their patients a chance to work on themselves both physically and mentally to achieve a better personality. The staffs at Fairview Riverside are well trained and experienced professionals who handle addiction issues generally and aim at giving anyone who walks through their door seeking rehabilitation the best service. The staff at Mountainside Treatment Center is a team of experienced and licensed nurses, CADCs, Case Managers, Psychiatrists, therapists, and pharmacists. The staffs at this facility have years of experience providing treatment and they are a qualified team of professionals who handle addiction issues generally. They are devoted to their work and makes sure that anyone who gets admitted into their facility having an addiction problem actually recovers from the problem.